RDN's comprehensive analysis of the 2014 WFTDA rules, from Alpha to Omega. In March, the WFTDA finally released an updated version of its roller derby rule book. WFTDA 2014 rules have officially been in effect for some weeks now, with all sanctioned WFTDA and MRDA games having been required to abide by them as of the beginning of April. As each year goes by, the WFTDA makes improvements to its rules process, its rules documentation, and the ways and means interested skaters can access the rules. All of this is good. But when it comes to gauging progress on the rules in terms of the competition and gameplay that results from them on the track, it is plainly clear that there is still a long way yet to go. For example, the elimination of minor penalties in 2013 massively simplified things for teams, officials, and fans. It also helped contribute to a 12.4% reduction in blocker penalties during the Division 1 playoffs. However, the resulting gameplay saw an unfathomable 40% increase in both jammer box trips and 100-point blowouts among the top 40 teams during that same period. It is no stretch to argue that the competitively unbalanced effect that power jams had on the WFTDA game cancelled out any overall progress on penalties in that particular area last year. The WFTDA and its voting member leagues are trying to stay ahead of things, though. This year, they are buttoning up incomplete fixes from last year while looking to curb big issues before they become bigger ones. Many rules inconsistencies and weird gameplay events have been addressed. Better explanations of common and new rules will (hopefully) prevent rule misinterpretations. Most importantly, there are new rules that appear to directly address the glut of jammer penalties and the resulting sausage-fests of passive offense, the issues that have the most effect on the WFTDA game—and draw the most criticism toward it. There is a lot to cover in the 2014 rules update, and the WFTDA has provided plenty of resources with which to do so. There is no shortage of materials available for players to learn WFTDA rules, from both the source and through other means. In fact, in the last few months the WFTDA has granted license/collaboration status with RDJunkies and Roller Derby Test O’Matic, making them de facto official resources. Great! The comprehensive analysis you are about to read is yet another resource towards helping to understand some of the more significant rules changes for this year. However, this particular look at the 2014 WFTDA rules will do more than just explain what key rules changed or how these changes will affect gameplay. It will dig into understanding why the changes were made, along with the full process behind those changes and a deep analysis examining whether or not the new rules are the best or most efficient way of fixing what was actually broken. It will also feature a look at how the the final 2014 rules document was affected (and not affected) by the 2013 beta rules proposals, with an exclusive look at how those proposals came about. That will come later. Before we dive into the areas where the WFTDA still has a lot more work to accomplish, let’s start with the rules changes that everyone can agree are 100% positive. The best changes to WFTDA rules this year, as they are every year, are the ones where simplicity and consistency comes to the rescue. History has shown that any time a dumb, letter-of-the-rules procedural event crops up—these are the kinds that have no logical explanation for them being there (besides “the rules say so”) and are extremely confusing to everyone—a dose of common sense always seems to be the cure for the situation. For 2014, the big winner in this department was blocker false starts. Last year, when a blocker touched over the jammer line at the jam start whistle, she was required to skate clockwise a lap to reset to a legal position behind the pack, often passing on oncoming jammer heading right at them at full speed. Very dumb. Very complicated. 3.2.8 – Skaters who line up fully in bounds but in an illegal starting position (while touching their legal starting area) are considered to have committed a False Start, and will receive a False Start warning. Once warned, skaters who False Start must cease all forward motion until they have yielded to all skaters in the immediate vicinity by ceding relative position to those skaters, or they may be issued a penalty (see Section 5.13.9). A jammer stepping ahead of the jammer line too early must stop and yield to the opposing jammer or any blockers in the immediate area. Blockers who place a skate behind the jammer line or in front of the pivot line too early will now be bound by the same requirement. One blocker false start will temporarily weaken a rear defensive wall by one blocker, as was the case last year. This year, however, this relatively small infraction has similarly small process to rectify it. Once the opposing jammer—if there is one—advances past the hips of the blocker in question to clear the violation, the blocker can step back into their wall and resume play, achieving the same effect without the unnecessarily complicated in-between part. Very smart. Very simple. Passing the star is another area of the new rules where we can score more points for consistency. The unique method of transferring scoring abilities from the jammer to the pivot is something that is beginning to show up more and more as a way to circumvent stifling defenses. Getting the star over a wall is much easier than jamming through one, after all. The old rules governing star passes were extremely clunky, with several states of a star pass which had to be covered. Star on the jammer’s head, star off the jammer’s head, star being passed to the pivot, star in pivot’s hand, star on pivot’s head. That’s just if the transfer goes smoothly; there were also considerations of whether or not the new jammer was a lap ahead of or behind the pack at the time the helmet cover went on, or which persons were responsible for retrieving the helmet cover depending on what state it was in once it was dropped. The fix to clean up this mess distilled the star pass down to the basics. If the purpose of passing the star is to transfer jammer status to the pivot, then there should be a single event that delineates this transfer, a simple YES/NO switch that determines whether or not the star pass is complete and the jammer referee should be tracking a new player. That single event is now when the passing of the star is complete. Literally. Now the only things everyone needs to worry about whether or not the player holding the star is the jammer, and whether or not that jammer is active or inactive. The former 5+ states of the star pass has now been reduced to two, at most. There is no better way to eliminate confusion from the rules than to simplify in exactly that way. This simplification is extra nice considering that the “jammer cover in hand = jammer” idea has existed elsewhere in the rules for quite some time. (2.6.6: Helmet covers must be on a qualified skater’s head, or in a qualified skater’s hand, before the jam-starting whistle.) Defining helmet cover actions globally, so they apply to different phases of the game the in same way, is another excellent standardization to the rules. Not all of the strangeness surrounding the star pass has been eliminated, though. There is still the matter of the few in-between situations of illegal star passes and timely penalties sending the star to the penalty box, but not necessarily the jammer who may or may not be wearing it. Plus, an odd inconsistency exists in that a pivot can legally throw a dropped helmet cover to the jammer, (2.5.4.1) but the jammer throwing it back to the pivot to complete a star pass is illegal (2.5.1.3). These have always been rare events, however. Future rules editions will likely further clarify the fringe issues, but for this year the bigger priority was to get the primary gameplay element back into order with simplicity and consistency. The WFTDA has done exactly that. Another major clarification, and probably one of the most important in the rules, is a more complete definition of what it means to lose relative position when it comes to judging gameplay impact for many types of penalties. Here is one example, with the key phrase underlined. 5.9.18 – A clockwise block that forces the receiving opponent to lose relative position, or allows the initiator or a teammate to gain relative position. This addition also appears in the penalties for back blocking, elbows, forearms, blocking with the head, and engaging out of bounds. But the direction of play penalties will likely be the most affected by this. Previously, the rules implied that gameplay impact on blocking fouls could only be judged from the perspective of the blocker and the opponent she was targeting. If a player committed a potential foul that did not directly cause an opponent to lose relative position against the initiator of the block or anyone on her team, then, per the letter of the rules, there was no gameplay impact and therefore no penalty. The problem was that such a clockwise block may have disrupted a defensive wall enough to allow a teammates to pass through or around it in the clockwise direction. This was clearly a gain of relative position by the other team, but the rules did not explicitly define this action as a “loss” of position by the affected player. There was no standardized authority to penalize this illegal action, so it often went uncalled. This year, that changes. If a player away from the play wants to move behind an opponent, and such movement is considered an advantageous action—the “gain” of gain relative position—a penalty can be issued to a blocker who allows a teammate to get that advantage via an illegal block, even if no position is lost or gained between the blocker and the receiver. With the log jam that occurs when blockers attempt to recycle a jammer by retreating clockwise through opposing blockers, and the still-scrummy nature of jam starts, there may be many players caught out by this clarification. Any action or movement by one player could trigger a penalty call on a teammate without either immediately understanding why, depending on how blockers in the pack are moving. Despite this, there is a related addition to the rules that should help cut out a good number of slow-pack blocks where this might be most likely to happen. 5.9.15 Any block by a stopped or clockwise-moving skater that forces the receiving opponent off balance, forward, backward, and/or sideways, but does not cause an opponent to lose relative position, or the initiator or a teammate to gain relative position. Any skater moving clockwise can now make incidental contact with opponents, even if they initiate it, as long as no position is gained or lost. The 2013 rules only made this provision for stopped skaters, meaning all a player moving clockwise had to do was breathe on an opponent to be sent to the box. This year, there will only be a penalty if there is actual gameplay impact, which should give players much more leeway to, for example, get into better assist position from a front wall in a stopped pack without worrying about getting penalized for brushing up against an opponent in the wrong way. Along with these major changes, there are many other positive ones for 2014. Teams get an one extra official review if their first of a period successfully corrects an officiating error (1.11.2.1), which can help make sure more potential missed calls don’t affect games. The potential for an official review being used as a “bonus” or game extending fourth team timeout has been completely eliminated with a more clear rule on end-of-game timing (1.4.3.1). In a very welcome addition, officials can now penalize attempts to flop or dive (5.16.12) in case someone tries to draw a back block or other penalty that never really happened. There are other positive additions, which will be looked at shortly. But even with the improvements to these rules and others, the WFTDA still has a long way to go before everything is as clear and consistent as it would like things to be. There are still many potentially murky inconsistencies within the 2014 rules update—including ones lying within some of these very improvements. You know how Dr. Bruce Banner gets angry to the point where he turns into the Hulk? That’s what I feel like when I look at the needlessly complicated or hyper-specific portions of the rules that can often cause more problems than the those they were originally meant to solve. If you can indulge me for a moment, let’s talk about skater numbers. The rules regarding them were updated this year. The way in which they were, however, will help demonstrate a larger point about the philosophy behind much of the rest of the WFTDA rule book. Previous rules editions on uniform numbers were apparently so unclear, complex, and open for misinterpretation that the WFTDA concluded that the only way to completely clarify this rule is to literally spell it out, one letter and one number at a time. Overkill to the extreme, but at least it comes out rudimentary enough to completely avoid the possibility of anyone getting confused by it. Yet incredibly, the apparent clarity of this rule and those related to it is still confusing people, and still requires clarification. A lot of clarification. The explanation on Roller Derby Rule of the Day regarding 2.7.4.4 is nearly 100 times longer than the rule itself. The accompanying RDRotD jersey numbers graphic, which provides over a dozen examples of legal and illegal numbers, has nearly 100 question/answer comments and hundreds more shares, presumably by and to those people who were still unable understand the updated rules by the text of the rules alone. HULK ANGRY AT OVER-COMPLICATING SIMPLE THINGS! 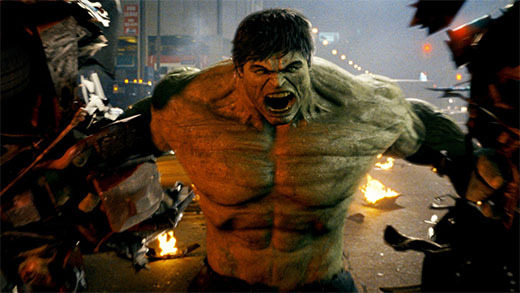 HULK DOESN’T NEED JERSEY! HULK SMASH WFTDA RULES! This is just a small (lower case?) example of how hyper-specific WFTDA rules can create confusion where there should be absolutely none. For something critically important to gameplay, with numbers being a major part of how referees communicate to skaters, how NSOs track their penalties, and how announcers identify them, it is absolutely baffling how this continues to be an issue of some difficulty for anybody. I’m making a mountain out of this molehill because there could easily be a lot more universality, simplicity, and consistency with this rule. Standardizing 2-digit uniform numbers would undeniably and immediately eliminate any possible confusion, making WFTDA rules just that little bit more easier for everyone to understand and implement. But the skaters don’t want that. At least, not right now. In any event, how simple or complex the rules outlaying uniform (skater?) numbers are is an extremely trivial thing in the grand scheme, and not worth any further discussion. But to the point: There are many other places in the rules where this complexity is not trivial. Quite not. 5.11.8 – A skater, having gone out of bounds or straddling, that briefly and unintentionally completely returns to the track on one skate in their efforts to remain or return out of bounds. 5.11.8.1 – This only includes efforts to remain out of bounds. Failed attempts to re-enter the track legally, resulting in illegal gameplay, should be penalized as normal. Here is the new addition to the rules that will make many happy. If a skater advances past opponents while straddling the boundary line—one skate in, one skate out—she will not be called for cutting if she briefly and unintentionally lifts the out-of-bounds skate in the process of making a clear attempt to brake or turn completely out of bounds to recycle legally. Through the 2013 season, the letter of the rules stated that once the out-of-bounds foot came up, the skater was immediately considered in-bounds since the in-bounds skate was the only thing establishing her position. If that in-bounds foot and the skater it was attached to was illegally ahead of an opponent, it was a letter-of the-rules cutting penalty, even if the skater was already on her way to the back of the pack when a referee whistled her to the box. I remember this exact scenario playing out during a RollerCon scrimmage last year. When the referee (correctly) whistled the jammer off on a cutting penalty for moving back to recycle, if only because the wrong skate came off the ground as she pushed off, I nearly went full-out Lou Ferrigno. In 2014, a technically-in-bounds skater who technically cuts the track won’t get a technical cutting penalty—but only under this one specifically defined situation. It goes without saying that the idea behind this addition is being well-received, and is something I can get behind in principle. It should eliminate a few ticky-tack jammer penalties and their resulting power jams, which is good news. However, the execution of this idea may have over-complicated other areas of the rules. Track boundary lines exist to let everyone know whether or not a player is in bounds or out of bounds. A line is used for this purpose because it has exactly two sides: One side of the line, and the other side of the line. There are no other possible states, and therefore there can be no possible way of contradicting or confusing the two. Up until this year, correctly interpreting the bounds status of an upright skater was stone-cold simple. If you were touching the line or went over, it you were out of bounds. Period. Once you were no longer touching out of bounds, you were in-bounds. Period. Even though this manner of calling things created extremely technical rules infractions, at least it was easy and consistent for players, fans, and referees to track. But this infallible consistency is what prompted the change to how cutting the track is handled, allowing a tiny bit of flexibility to skaters trying to recycle legally. The problem in putting this flexibility into the rules in the way that they chose to do so has made something flexible that should not and never be flexible, and complicated that which should never be complicated: The boundary lines of the track. Out of Bounds – A skater is out of bounds when part of the skater’s body or equipment is touching the ground beyond the track boundary, including both arms or hands (one arm or hand does not render a skater out of bounds), or any part below the skater’s waist (e.g., a knee, a skate, or a hip). It’s likely that this underlined addition was made to give players more freedom to put a hand down to remain upright or recover from a fall near the boundary without worrying about going out of bounds, being forced to recycle, or risk getting cutting penalties. However, there are consequences for adding this exception. That all assumes a skater is upright; a downed skater may be doing any one of those four things and then transition into one thing or the other very quickly, adding even more possible bounds states to the equation, suddenly opening up more possibilities for confusion or misinterpretation. Not only do these changes make officiating more difficult and potentially open to more subjectivity—was that in-bounds step really unintentional?—a result of this selective disregard of the boundary lines has created new loopholes in the new rules. Defensively, players can extend their established position over the inside boundary line of the track by adopting a football-like “three point stance,” with two skates in-bounds and one hand or forearm out-of bounds. If done correctly, this could make apex jumps harder, and potentially more dangerous, since a player can throw more momentum at a jammer and still be eligible to recycle them, even if they know that momentum would spill them into the infield. If the hand comes down out of bounds, a standing player is still in bounds. Offensively, skaters can legally cartwheel or be wheelbarrow-assisted out-of-bounds around an opposing defensive wall, provided this is done with only one hand down at a time. One arm or hand does not render a skater of out of bounds; if you never technically go out of bounds, you can never get a cutting penalty. (Pegassist 2.0, here we come!) Granted, this is an impractical and potentially dangerous maneuver. But just the fact that it exists as a rules-approved method to pass opponents and score points means someone out there will be coy enough to try it. And wouldn’t you know it, someone is already trying it. I credit the WFTDA for making an honest attempt in pre-clarifying things like the new cutting rules, as it did with the Rules Q&A page on 5.11.8. It took a lot of words to do this, however, words may yet be added to future rules updates. All of the previous Q&As issued by the WFTDA eventually wound up in the rules in one form or another, and even with the carefully-selected language and examples added to the official rules text, this will be one of those things that needs a revisit in the mid-year update or next year to pin down completely. 5.14.3.1 – The penalty was called using the correct hand signal and verbal cue. 5.14.3.2 – The referee calling the penalty was correctly positioned for the skater to potentially see the call. 5.14.3.3 – The referee calling the penalty did so loudly enough to be heard, given the referee’s position, and the constraints and volume of the venue. The updates to insubordination are meant to make it absolutely clear when a referee is to whistle an extra penalty as a check against the apparent speed and frequency with which skaters felt they have been issued. The intent behind the rule is justified, since some officials were lightning-quick to tack on an extra penalty for misinterpreting acts of defiance and the literal rules that define them. But 5.14.3.2 introduces a small problem. If a referee is correctly positioned behind the pack and signals for a penalty, the player he is attempting to notify will often be facing and skating away from the hand signal being made. It is reasonable to assume that a skater could not potentially see the call if it came from an official in their blind spot—especially if it is from an outside pack ref chasing a fast pack. Per the rules, in such a situation the skater can remain in play on the track, and no insubordination penalty can be yet issued, since there is a chance the skater was not 100% aware of the call being made against her. This protects skaters from being double-whammied if they genuinely didn’t know they needed to get off the track, particularly in loud venues. Unfortunately, this must also apply to situations where it is 100% obvious to the skater that the call was made against her via the verbal cues. Until a ref gets his act together and leaves his “correct” position to clearly and appropriately communicate the penalty, so that his hand cues can definitely be seen by the skater, the penalty has (according to the rules, which are quite clear on this) not been officially and correctly communicated, meaning the skater is under no pain to heed it. As a result, she can deliberately stay on the track just that little bit longer…and maybe hit the opposing jammer out of bounds in the meantime. This is how loopholes and rules misinterpretations come to be in the WFTDA rulebook. Compromising between what is the most simple and consistent way of implementing a rule; and trying to define exactly what skaters want in their game or how they want officials to act in overseeing it, only works when these ideas do not conflict with each other. This is what really makes you think about why it always seems that the WFTDA needs to immediately fix rules that it just spent a year or more working to develop and implement. Funnily enough the WFTDA already knows what it takes to truly fix a broken rule: Simplify and make consistent. That happened this year with the rules regarding false starts, with star passes, and with judging relative position. Great! But then the WFTDA goes ahead and complicates track boundary lines and penalty enforcement, adding to the inconsistencies already existing elsewhere in the rules. Not so great. If the WFTDA is going to fix these rules or stop new loopholes from appearing, it will only accomplish this by doing so in a proven way. If putting in a new rule will ultimately require two or three rules revisions to make it a good rule, that could mean potential problems in other areas of the game may get worse in the meantime, making the process of arriving at that rule unnecessarily frustrating. We have seen already seen this phenomena in action. One of the things that was broken in a past WFTDA rules revision has stuck around long enough to become its defining gameplay element, for better or worse. It took almost four years to decide that the time has come to do something about fixing it.